WHAT AN AMAZING ARRAY OF CLASSES! We hope the hardest decision you have to make all weekend is deciding which of the amazing classes to attend! May your minds be stretched; your hearts opened. Each year depending on the teachers, we offer a wide variety of topics and classes at the WHC. We don’t normally choose a specific topic or have ‘tracks’, because we offer such a variety of classes for all level of participants, and we’ve found that people generally choose what they are most interested in attending. Enjoy! We welcome your feedback…. Please note; There may be a few additions and changes to the classes listed below. The Final Schedule with all class changes is posted on August 1st. This is a space that is being held by people of color for people of color to provide a place to gather, heal, and connect in hopes of creating a more comfortable and meaningful experience at the WHC. We will spend time unpacking our personal experiences and trauma navigating plant medicine in the wake of colonization, capitalism, and the oppressions we continue to face. Through group conversation, individual exercises, and stories of resilience, we will nurture our community and promote strategies for healing. This space centers the healing traditions that black, indigenous, brown, and people of color carry, maintain and celebrate. *Mandana Boushee is an Herbalist, educator, gardener, activist, parent, and co-founder and co-educator of Wild Gather: Hudson Valley School of Herbal Studies. Growing up in a traditional Iranian household is where her love of plants was first cultivated. She learned about herbs for self-care, ritual, and food as a young girl, using the same herbs her grandmothers used before her. Mandana's work is centered on facilitating learning around herbalism, wild food, earth based skills and crafts, and flower essence medicine. She weaves both her Persian lineage, ancestry, and plant tradition into her work as an herbalist . As a woman of color, she is passionate about maintaining the many voices, stories, rituals, and histories of POC, particularly around health, healing and food. Mystic, Manifestor, Dream Weaver, Desert Storm Army Veteran, Herbalist & Healer are just some of the things that describe Angelique “Sobande” Greer. She embraces the name given to her by her spiritual Godparents (meaning the seer came with me) and believes that somewhere as a child, she was called back to the healing ways of her great grandmother. Sobande is a Master Herbalist, Certified Holistic Nutritionist, Consultant, Educator & Author with over 25 years of experience in the field. Currently, NCB is the only African American School of Herbalism & Natural Health in the south that teaches the art of healing the old fashion way www.naturalchoicesbotanica.com. Sobande resides with her supportive husband & three daughters just outside Nashville Tennessee where she maintains a private practice that centers on education, retreats and consulting. NCB also produces a superb line of organic herbal teas & body tonic products that were the recipes of her great grandmother. (1) Ozain Herbalism System "A Wholistic African Approach to Client Assessment & Evaluation"
Bevin Clare, M.S., R.H., CNS, is a clinical herbalist, nutritionist, mother, plant lover, and a Professor at the Maryland University of Integrative Health (MUIH). Bevin's lifelong pursuit of plant knowledge and community is central to her personal and professional life. As an herbalist and educator, Bevin trains clinical herbalists through their clinical internship at MUIH and brings herbs into the lives of many students, clients, and practitioners with her national and international presentations. She holds a MSc in Infectious Disease from the London School of Hygiene and Tropical Medicine, serves on as an adjunct faculty member of the Massachusetts College of Pharmacy and is an Adjunct Associate Professor at the New York Chiropractic College. Bevin has studied herbal medicine around the world and blends her knowledge of traditional uses of plants with modern science and contemporary healthcare strategies. She is a board member of the United Plant Savers, a group working to protect at-risk medicinal plants in North America. Bevin has been the President of the American Herbalists Guild since 2015 and the Vice-President since 2010. Candis Cantin has over 30 years practical experience as a counselor and teacher of holistic lifestyle principles. Her background includes extensive Western herbal studies, Ayurvedic and Chinese healing systems, as well as counseling and communications skills. Candis is the artist of the Herbal Tarot Deck and wrote its companion book the Spirit of Herbs, with Michael Tierra. She is also the author of the Pocket Guide to Ayurvedic Healing and has created a 500 page correspondence course with 9 hours of audio tapes. Candis is owner and creator of EverGreen Herb Garden and School of Integrative Herbology in Placerville, California where she has resided for the past 34 years. She is growing over 190 different herbs for display and for medicine making. In the current health movement, many people are focused on cleansing and purifying. While for many people this is a good place to start, others, especially weak, older and depleted people, may find that cleansing techniques based on fasting, sweating and other forms of elimination may be draining and weakening to their system. Over the years I have seen excess cleansing techniques deplete and endanger some people's lives. The practitioner needs to evaluate the basic vitality of a person before they can start cleansing. The cleansing should not decrease their storehouse of basic energy, known in Ayurvedic medicine as Ojas and in Chinese medicine as Jing. We will discuss the herbal and lifestyle ways to build, fortify, strengthen and rejuvenate our vitality and help to optimize our digestive system, lungs, and immune system. In this class Candis will shed some light on the changing seasons of life, the “junctions,” we must go through, and how we can try to remain harmonious with them. Entering the Elder years is such a “season change” and is discussed frequently in Chinese and Ayurvedic healing systems. Candis will be basing much of her talk on these medical systems and how they see and approach the elder years. This will include the general changes that happen physically as well as the psychological and spiritual as well. She will talk about herbs, foods, oils and life styles that can help to bring more comfort and ease to the elders (which includes herself since she is now 69!). The Heart is an extremely vital organ and heart disease is a major health problem with serious consequences. But heart conditions can go beyond clogged arteries and cholesterol readings. In the ancient systems of healing, such as Chinese, Ayurvedic and the Greek/Arabic system called Unani, the concept of “heart” references the physical heart and the entire arterial system but also encompasses a broad physiological as well as psychological function as well. In these Ancient systems of medicine, nightmares, anxiety, feeling mentally dispersed or even excessively excited might be determined to be a Heart disorder. Other maladies of the heart are long term resentment, hatred, deep sorrow and lack of joy. To determine if their patient had “heart” problems, the ancient doctors would observe the demeanor of their patient and ask questions about their vitality, nerves, emotions, sleep, dreams, appetite, digestion, lungs and the other organs. We will talk about herbs that ease the heart traumas and also discuss what the ancients herbalists of the East called "exhilarents," which are herbs and aromas that helped with many "heart conditions." We will also discuss the effects that emotional shocks, loss and sustained grief have on our bodies. We will sample herbs and formulas that may give us greater ease as we traverse the underworld of loss and shock. We will also talk about some of the very potent Chinese and Ayurvedic herbs that help the heart to function more optimally and that help resolve heart symptoms as well. Herbs such as Tienchi ginseng, Dan shen, albezzia flowers and bark, rose petals, and many tonic herbs will be discussed in depth. Caroline has been a clinical herbal practitioner and teacher for the past 25 years, in Canada and internationally. A heart-centered communicator, Caroline’s enthusiasm for all aspects of humans and their health is combined with an insatiable scientific curiosity and a deep connection to the plant world. (1) Self-heal, Plantain and Ground Ivy: undervalued and underused superstars! A stellar triad. They are three of my favorite herbs and I use them extensively. Let’s celebrate them and dive into their awesome gifts and abilities. (1) Parasitic Infection: the unwanted little creatures inside of us. More common than we think and not just in our gut, we will explore different plants, homeopathic remedies, flower essences and protocols for adults and children to effectively get rid of them safely. I will share different case studies to help understand the scope of the problems that parasites can cause and how to rebuild the body after the damage they have done. Dr. Claudia J. Ford has had a career in international women’s health and development spanning three decades and all continents. Claudia is a midwife and ethnobotanist, who studies traditional ecological knowledge, women’s reproductive health, and sustainable agriculture. Dr. Ford is on faculty at Rhode Island School of Design where she teaches Women’s Studies, Indigenous Knowledge, Environmental Literature, and Environmental Justice. Claudia serves on the boards of The Orion Society, a community that publishes Orion literary magazine, and the Soul Fire Farm Institute, committed to ending racism and injustice in the food system. Claudia is the director of an on-farm artists’ residency program, and she is a writer, poet, and visual artist; a single mother who has shared the delights and adventures of her global travel with her four children. Emily Ruff, Executive Director of the Florida School of Holistic Living, and founder of the Florida Herbal Conference, is a community herbalist who has practiced the art and science of plant healing for over a decade. Her studies have taken her around three continents where she has studied under healers of many traditions. Emily’s dedication to preserving bioregional medicinal plant traditions and ecosystems led her to become active in the organization United Plant Savers. Inspired by a need for greater connection among her regional community, she founded the Florida Herbal Conference event in 2012, an event which continues to sell out annually. In past years, she served multiple terms as president of the Herb Society of Central Florida and as co-founder of Homegrown Local Food Cooperative. Most recently, in response to the tragic shooting at Pulse Nightclub, Emily founded the Orlando Grief Care Project. From the community relationships cultivated through the national response to this tragedy, Emily has formed the Herbal Action Network to continue weaving the web of compassionate herbalism into community engagement. Her most recent work has taken her to Cannonball, North Dakota where she served with the Standing Rock Medic & Healer Council. Dr. Eshe Faizah, is a master formulator, master herbalist, organic master gardener, wholistic lifestyle consultant, creator and mother of 4. She has empowered people in taking control of their natural gift of health for over 25 years. Dr. Eshe has studied as an undergraduate at University of California-Berkeley, honed her herbal interest at Dominion Herbal College and received her doctorate from University of Sedona. Dr. Eshe has studied at The U.S. Kinesiology Institute and The University of Georgia. She has blended her interests into a philosophy that she calls, “WombLoveology”, one that she is currently teaching throughout the world. This Revolutionary, pro-active lifestyle towards taking care of the Womb is empowering thousands of Women to heal. Taking your power back! A Loving set of rituals to develop Body, Mind & Womb Self-Care practices. In this class you will learn all about using plants for natural dye through discussion and plant dye demonstrations. We will discuss key plants for creating a rainbow of color. Topics will including cultivation, harvesting, and processing plants for use in the dye pot. We will talk about what it means to wear your plant medicine, how to connect with healing plants through wearing plant infused fibers, and there will time for you to explore this connection for yourself. JoAnn Sanchez is an experiential herbalist in practice since 1979. While she is clinician, retailer and writer, for 20 years she has served at her herb school, Botanica, where she partners with the Southwest Institute of Healing Arts to provide an accredited associate of occupational studies degree in western herbalism. She is co-owner, author of all curriculum, and educator to both students and teachers in her role as school administrator. JoAnn has also been on the faculty of the Southwest College of Naturopathic Medicine for two decades teaching botanical medicine courses and supervising a large educational and production medicine plant garden. She has authored five herbal textbook manuals which are required curriculum at both schools. JoAnn also educates about Sonoran desert medicines as one expertise to both schools as well as in her community at large. Every day she is happy to continue her vocation as advocate for the plants. A presentation of three botanicals from the Sonoran desert, their characters and their applications. Chaparral, Desert willow, and Ocotillo. As these plants make their way into the materia medica throughout our country it is wise to understand their traditional and contemporary applications towards good therapuetics. Discussion will include delivery systems, posology,botanical identification and tastings. Karyn Sanders has been practicing and teaching energetic herbal medicine for 42 years. She co- teaches and co-owns the Blue Otter School of Herbal Medicine. Karyn also teaches at various conferences and schools around the country. Transgender and non-binary people encounter many obstacles and negative experiences getting health care due to providers who lack sufficient cultural awareness or training. What can we do to offer welcoming and competent care for these (and all) clients? Part one of this class will be an accessible introduction to gender literacy, exploring foundational concepts such as language, forms, and intake process. Ultimately, we hope to give you concrete suggestions for how to practice, teach, write, and live as an ally to people of all gender identities, and how to proceed when we inevitably mis-step. This workshop is a follow up to the introduction to gender literacy (Part 1) and will dive more deeply into using herbs to support clients. We’ll explore the ins and outs of hormone replacement therapy and other gender affirming practices and how herbs can be used safely and effectively alongside of and in support of these practices. We’ll address herb-drug interactions, hormonal effects of herbs used on their own, and practicing informed consent in largely uncharted clinical waters. *For those without strong gender literacy or experience, Part 1 is required for those wishing to attend Part 2. Leyla Bringas began her botanical studies with Rosemary Gladstar’s Herbal Apprentice Program in 1996. She received her Aromatherapy Certification from Jade Shutes’ Institute of Dynamic Aromatherapy in 1997, which has since grown to be the New York Institute of Aromatherapy. Leyla founded Lunaroma Aromatic Apothecary in Burlington, Vermont in 2000. Inspired by her studies and practice in herbology and aromatherapy for over 20 years, she has formulated Lunaroma’s entire line of aromatherapeutic, bath, body, spa, botanical perfumes and aesthetic products. She is a member of NAHA (National Association for Holistic Aromatherapy), the regional director for NAHA for Vermont, a charter member of The Natural Perfumers Guild, a member of The Indie Beauty Network, and The Green Products Alliance. Lunaroma Aromatic Apothecary specializes in providing pure essential oils, handcrafted bath and body care products and excellent customer service at the boutique in Burlington, VT, where custom blends, aromatherapeutic blends, consultations and custom botanical perfumes are the specialty. Join Leyla Bringas and Lily Carpenter in a demonstration of the art of distillation of Chamomile. Watch as we render a tiny bit of essential oil and hydrosol while we discuss uses and applications for both. Lorna Mauney-Brodek is a practicing herbalist, foot care worker, and teacher dedicated to promoting social and environmental justice through community-based action. She has been caring for the feet of our friends on the street for over a decade, serving at the Harriet Tubman Foot Care Clinic located in Atlanta, Georgia. Lorna is the founder of the Herbalista Health Network, a free clinic provider that offers herbal care to underserved communities via a mobile clinic model with the Herb Bus and the Herb Cart. Marie’s by-line is “Co-creating Health from the Heart.” As a holistic health coach, herbalist and principal of Taproot Herbals LLC, Marie finds joy on the green path through helping other reduce stress through food as medicine and sustainable strategies for self-care. She has a practice in Montpelier and teaches and hosts retreats at her mountain home in Central Vermont. Nancy Scarzello has been studying and teaching about herbs for over 35 years. Exploring the woods and watery places surrounding her childhood home in NJ, then living in VT for 30 years on 25 acres where she raised her family with natural remedies from the field, forest and her organic herb farm, the plants became her touchstone. 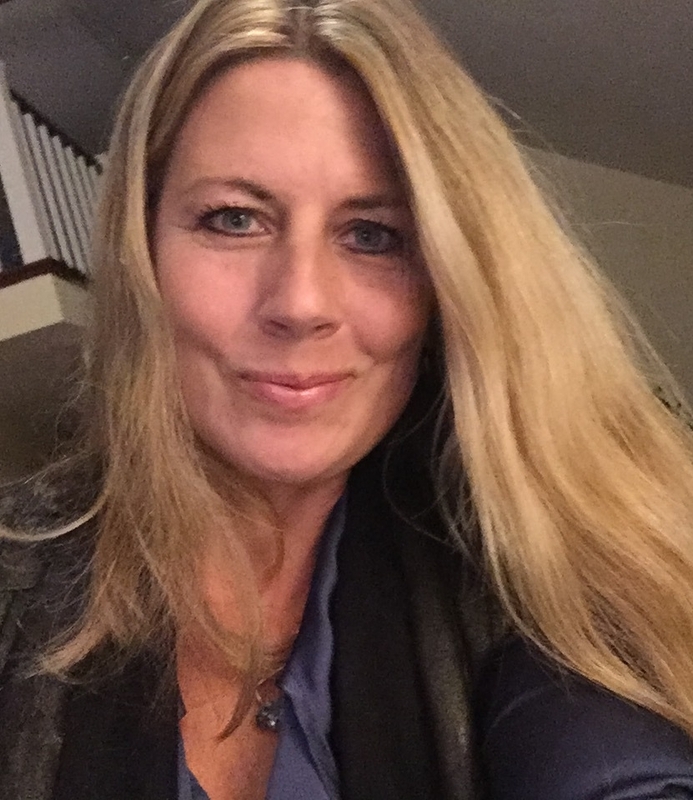 Now living in the Adirondack Mountains of upstate NY, she teaches at conferences and symposiums throughout New England about herbs, native plants, natural healing, mushrooms and deliciously healthy cooking. Her days are delightfully filled with making Plant medicines, Medicinal Mushroom Extracts, seeing clients, teaching and sharing her passion for a self-reliant, deeply rooted, green-spirited lifestyle with the garden herbs and wild plants as her guides and companions. Nancy is the founder of Forest Bay Herbals and can be reached by email, forestbay@wcvt.com. Naren Udagan was born and raised in Inner Mongolia, and comes from a family line of shamans that dates back hundreds of years. She is a certified Reiki master, certified chakra healer, certified Ayurveda nutritionist, and certified Dr. Morse’s international detox specialist. She treats both physical and spiritual ailments using a range of techniques, including shamanic healing and other energy healing work. She has founded the Tolin Center for Healing and Tengrism Studies as a way to further educate the West about the power and techniques of Tengric shamanic healing. (2) Do You Want to Become a Shaman? In pursuit of self-discovery, Nioma Narissa Sadler has spent her adult life on the path of service. As the Goodwill Ambassador for Traditional Medicinals, the co-founder of the Traditional Medicinals Foundation, and founder of WomenServe, she has traveled the world leveraging her passionate expertise for developing community empowerment strategies with women’s cooperatives in Guatemala, advocating for improved agricultural working conditions in Kazakhstan, and fearlessly defending women’s fair wages in war torn Bosnia. Through her work with the Revive Project, Nioma has helped to bring water security to a region of the Thar Desert on the boarder of India and Pakistan. In India, five new primary schools have been built, bikes have been provided to help girls trek the long distance to their secondary schools, and women have been trained in health and hygiene. While serving of the board of the Lunafest Film Festival (films for, by and about women), Nioma raised $250,000 in funding for the Sloan House Women’s Shelter and the Breast Cancer Fund. Tireless in her mission to tell stories about women, for the past year Nioma has directed two films about women’s education and the connection between women and water. Always focused on refining her professional leadership skills, Nioma mentors apprentices, leads exposure visits to development projects in indigenous communities, speaks publicly, attends conferences and co-stewards the Traditional Medicinals Foundation. When not traveling, she lives in Northern California and Costa Rica with her dog, three cats, son Kai and husband Drake. In the Spirit of maternal generosity, and holding dear these sweet words from Mother Theresa..
“If you can’t feed one hundred people, then feed just one”. Penelope Beaudrow is an Educator and Registered Herbalist; earning her diploma from the Dominion Herbal College in British Columbia. She has had a career with herbs for the past two decades; from "the field to bottle” in all aspects of the natural products industry. She is Product Development Specialist and Herbal Educator at Faunus Herbs; which manufactures, formulates and develops complex food based supplements for the natural products industry. Penelope is also a board member of the Association for the Advancement of Restorative Medicine, moderator at The Annual International Restorative Medicine Conference and past organizer of this conference for ten years. She is also the founder of The Ginkgo Tree, a small herbal business located on her family farm, Dogwood & Brambles (farm is designated as a United Plant Savers Botanical Sanctuary), where she also facilitates The Science and Art of Herbalism Course. An Ethnopharmacologist, Ethnobotanist, and extraordinary teacher and healer within a lineage of traditional healing, Rocio has spent over 30 years working with ethnic groups in the tropical rain forest and Andes Mountains of Ecuador and in the Basque Country, Spain. She has contributed to various Amazonian and Andes indigenous communities and has collaborated with international organizations including the Wildlife Conservation Society, Care and The Nature Conservancy establishing economic opportunities for local people with products from the forest. It has been said that she ‘may know more about indigenous people than anyone else in Ecuador’. Rocio is renowned and beloved world wide for her caring, loving and passionate approach to people, plants and nature. From Rocio: "I was born in Ecuador and have been privileged enough to learn from my ancestors and local people, the traditions of plants and spiritual practices . I want to share my knowledge to help bring peace and allow you to see the rainforest and the Andes of my beautiful green country Ecuador, as a focus of the energy that heals us and the planet." Rosemary's intensive was so popular, she decided to also offer an open plant walk so more women would have the chance to join in the fun! Sara is an ceremonialist, poet, and schoolteacher who is in service to honoring the sacred ecology of all things. She lives in northern Vermont where for the last couple of decades she has taught wilderness skills and Earth stewardship practices to children and adults. She, along with her partner Joseph, are keepers of the Sweat Lodge and the Sacred Pipe, and facilitators of Vision Quest. She studied and apprenticed with medicine woman Trishuwa for many years and has led ceremony for the Women’s Herbal Conference, The Green Nations Gathering, and on private land throughout New England. More information regarding purification lodges to come. If you would like to sign up to hear information as soon as we have it, you can click here to fill out the form. 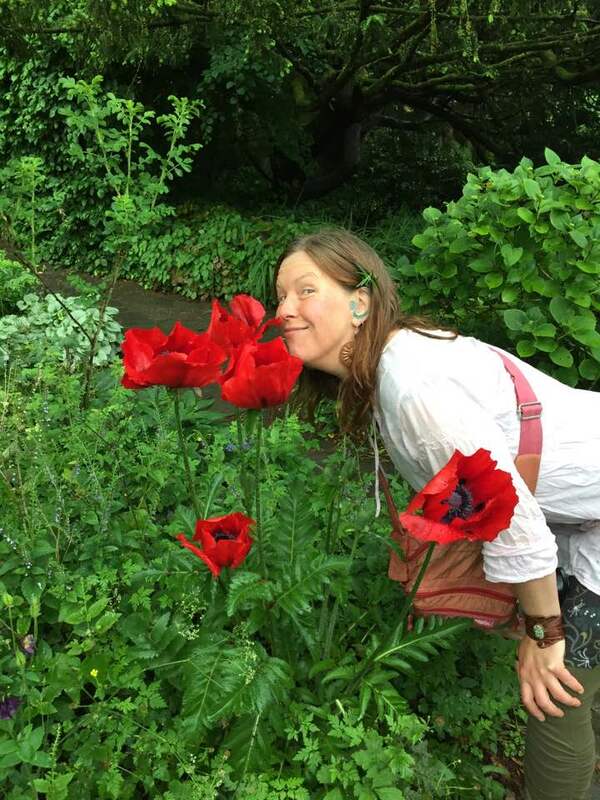 Sarah Holmes, Clinical Herbalist, has been a practicing energetic herbalist since 1998. Sarah's work focuses on the interconnectedness of mind, body and spirit as well as the dynamic interchange between people and plants. Sarah has a strong commitment to service that started with volunteer work in her teens and continued into a career in social work. Her background in social work enriches her current vocation bringing together her love of nature and a commitment to service and working with people and the plants. Her deep love of nature infuses her work with the plants as well as takes her backpacking into the mountains of Northern California where she lives. Sarah also runs, in partnership with Karyn Sanders, the Blue Otter School of Herbal Medicine and a weekly radio program on KPFA, The Herbal Highway. (1) Nurturing your Fierce Heart In order to change our world, to change the dominant paradigm, we need to change. I believe the fundamental shift we need arises from our hearts. That the root of most dis-ease is some form of disconnection; from self, others, nature, spirit. In order to heal we need to seek out connection and be fierce about our love. This class will include visualizations and plant meditations in order to ground the discussion in our bodies and hearts. (3) Support for Service ProvidersThis class will explore how we can take care of ourselves so that we can continue to take care of others; coming from a perspective of shifting the model from burn-out to sustainability. Herbs and essences that support this work will be covered. Stephanie Morningstar (Oneida, Turtle clan) is an herbalist, ethnobotanist, cultural anthropologist, student, and educator whose passion lies with native species plants and Traditional Ecological Knowledge as well as bioregional and ancestral plant medicines. Her anthropological work focuses on cultural safety in herbalism, ethical knowledge translation between Western and Indigenous plant and medicine knowledges, and preservation of the Star Knowledge of the Haudenosaunee people. She been a student of herbalism for over 15 years, training with Haudenosaunee, Anishinaabe, and Western teachers. Her ethnobotanical research focuses on the native species plant medicines of Dish With One Spoon territory, where she is collaborating with her community to create self-directed, interactive medicine walks that integrate contemporary technology with oral history. Stephanie currently works and teaches in Niagara, Ontario at Sky World Apothecary @ Orchard Hill Farm, an organic herb farm and woodland garden in the middle of the northernmost part of the magical Carolinian forest. Although Traditional Ecological Knowledge (TEK) has no singular definition, it is generally agreed by Knowledge keepers that it is a process- a relationship one maintains with Creation- the participation in an active partnership between knowledge, humans, and the whole of Creation. It is from this definition we can gather that TEK is not a singular closed system rooted simply in the earth-bound natural world, but is a reciprocal partner in Creation with the spiritual (Sky) world. As humans, we are tied to and must maintain both worlds through our actions, such as ecologies and ceremonies, which inform each other in a cyclical dance. In this talk, I recount stories connected to Celestial Knowledge passed on from generation to generation through deep time which illuminate the reciprocal and cyclical relationship between earth and Sky World, informing our shared cosmologies and understandings of our natural environments. WE ARE ALL TREATY PEOPLE. This workshop will review Stephanie’s ethnobotanical projects on Dish With One Spoon Territory native species plants and oral history. Stephanie will share about her work collaborating with elders, knowledge keepers, and community members to create community-driven ethnobotany projects focused on the preservation, reclamation, and rematriation of native plant species in the northern Carolinian forest of Southern Ontario. Learn the stories and translations of the Kanien’kehá:ka (Mohawk), Gayogo̱hó:nǫ’ (Cayuga), Anishinaabemowin words for plant medicines the community has decided are appropriate to share. We will view some of the teachings Stephanie has filmed of elders, knowledge keepers, and medicine people during production of a self-directed, interactive medicine walk trail. Susan has been creatively writing for 30 years. In this workshop she will discuss many different venues of creative expression from keeping a journal, a gardener's notebook, pressing botanical specimens, how to put together your own materia medica, and assemble a recipe book. Each participant should bring a blank notebook. Art supplies supplied. This class requires no artistic talent (though you all have it), just a desire to unleash your own creativity. Suzanna is an herbalist in Scottsville VA. She founded Owlcraft Healing Ways, an outdoor herb school, where she offers clinical herbal consultations and leads nine-month herbal apprenticeships and day classes in herbal medicine, traditional foodways, and plant spirit medicine. She was raised in a home where herbs and whole foods were the foundations of health and has spent the last 18 years broadening that foundation and deepening her knowledge and understanding of the healing herbs. She teaches at herb schools and conferences throughout the country and is co-founder and co-director of The Gaia Gathering for Women in Charlottesville, VA. Her passion for the drum led her to Senegal where she studied traditional West African drumming and dancing. Her chants can be found on her CD "Songs from the Spiral". She stewards 14 acres of plant filled land to provide sanctuary, healing, and education for those who hear the call of the plants. Herbal syrups are simple to make and are a delicious way to incorporate plant medicine into the rhythm of your day. In this demonstration and hands on class we will make an immune boosting anti-viral syrup, a nourishing nervine syrup, and a blood building, iron rich syrup. And of course there will be lots of delicious samples to enjoy! Tammi Sweet, a passionate and energetic teacher, brings 28 years teaching experience into the classroom. Her amazement and wonder of the human body and how it works shines through as she presents the material in ways people can understand and utilize. She loves integrating the wisdom of the body with all aspects of living. Presently she co-directs her Herbal Program at Heartstone Herbal School, and teaches Anatomy and Physiology and herbalism at Herbal schools and conferences throughout the country. Her learning of the body has come through many paths including traditional Master’s level college studies in Neurobiology, teaching College Anatomy & Physiology, Massage School, Yoga Teacher Training, Herbal studies, collegiate athletics and most importantly, an ever-growing love of understanding who we are in relation with this wonderful home we call the earth. (1) Got Leaks? Gut inflammation & Food Intolerances: the Truth of the Matter. A journey through the culture, history and folklore of herbalism in Ireland. An interactive exploration of the Celtic medicine wheel and the plants associated with each turn of the wheel. We will discuss each of the ancient Celtic fire festivals in relation to their associated energy, deities, sacred places and plants. We will use the Irish language to open and close the sacred circle. Tiffany Robbins is an ardent student of the plants. She is a clinical herbalist with a small practice in PA. Relishing all the gifts the green world has to offer us, she immerses herself in anything plant related such as foraging, medicine making, live food preparation, weaving with natural fibers, and natural perfumery. She is a wife and homeschooling mother of three. Kyphi is a sacred incense burned by the ancient Egyptians. We will explore the importance of Kyphi in Egyptian life and how that translates to us now. Making Kyphi is a long process with many ingredients used. We will go through the stages and get to see, taste, touch and yes, smell the indelible Kyphi! Tina Marie Wilcox has been the head gardener and herbalist at the Ozark Folk Center State Park in Mountain View, Arkansas since 1984. She writes a weekly herb column entitled “Yarb Tales”, which is published in the Stone County Leader and www.ozarkfolkcenter.com. She co-authored the reference book, The Creative Herbal Home with Susan Belsinger. Professional Memberships include the Herb Society of America and the International Herb Association. In 2017 she was honored with the Nancy Putnam Howard Award for Excellence in Horticulture by the Herb Society of America.Tina's philosophy is based upon experiencing the joy of the process, perpetrating no harm and understanding life through play with plants and people. Trishuwa works with the ceremonial forms of communicating with the invisibles of the world-Sweat Lodge, Sacred Pipe, Vision Quest and the Medicine Wheel. As a young child she lived near San Juan Pueblo in New Mexico, along the Rio Grande. The visions that were part of her early childhood guided her throughout her life and are the foundation of her work. A psychotherapist, she trained in Neuro-Linquistic Programing, regressive treatment and Gestalt therapy. For two decades Trishuwa has told the Earth-centered stories of indigenous minds. that nourish and sustain our future generations. *Jocelyn Kirkwood is a community herbalist and social justice activist from Cleveland, OH. Co-founder and herbalist at the Lake Effect Free Alternative Health Clinic, Jocelyn specializes in harm reduction, first aid, LGBTQ health, chronic conditions, and mental health. She is also an experienced permaculture gardener, and gets great joy in growing and wild harvesting many of the herbs that she uses in her practice. Jocelyn offers consultations and classes with the Stonefruit Community Herbalists in Pittsburgh, Pa where she currently resides.